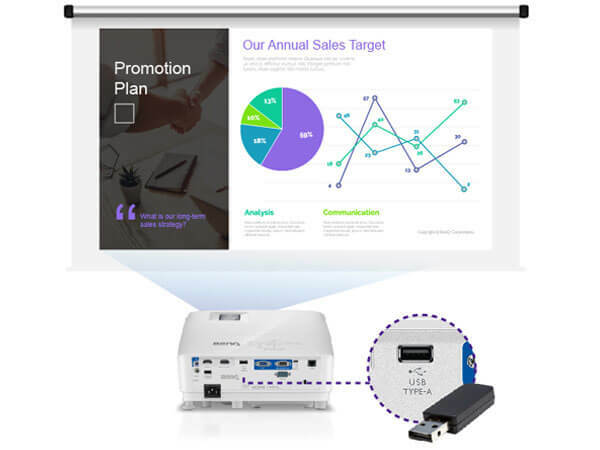 Supporting a wide range of files including JPEG, PDF, Microsoft Word, Excel and PowerPoint files, MH733s USB Type-A port lets presenters easily project images or documents directly without the need for a laptop. 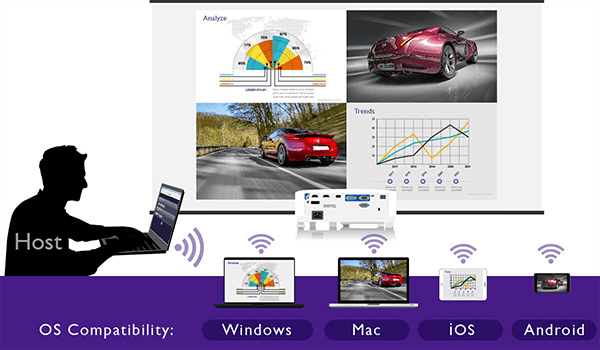 MH733 can be paired up with theQCast Appto present from PC or smart devices.QCast Apphelps users to directly project a wide range of files including photos, PowerPoint, Word, Excel and PDF files from your PCs or smart devices onto the big screen.QCast Appalso comes with other beneficial functions to enhance your efficiency and convenience in meetings. 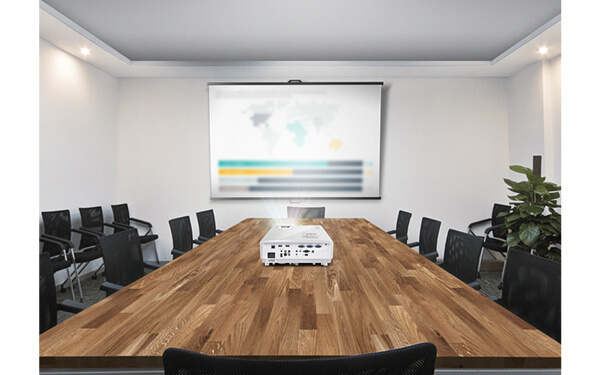 Equipped for WiFi readiness, MH733 enables convenient wireless projection via QCast App from PC or mobile devices by connecting a USB wireless dongle* to a specific port at the back of the projector named WIRELESS DONGLE. 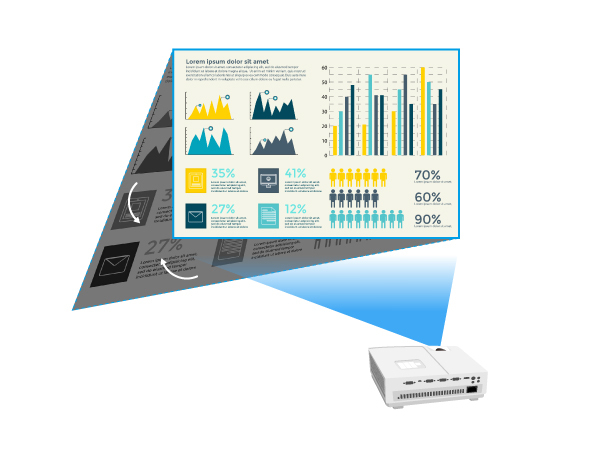 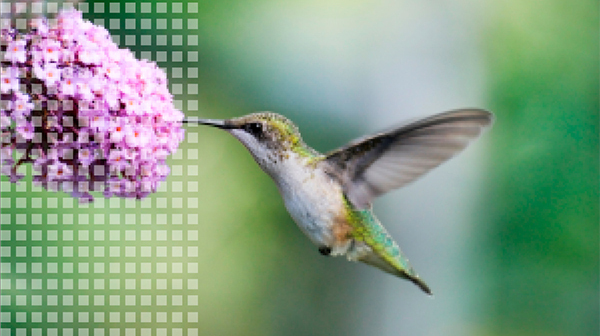 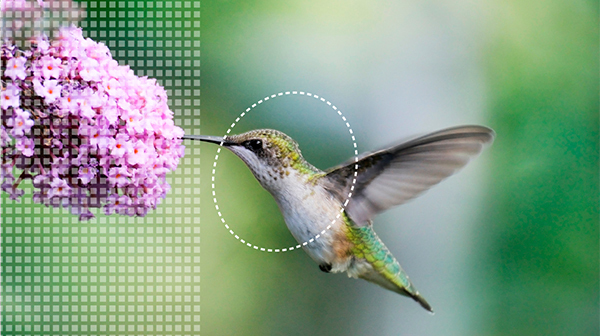 SmartEco Mode: SmartEco Mode analyzes input content to determine the brightness required for optimal color and contrast performance, conserving up to 70% lamp power while delivering the finest image quality without compromise. 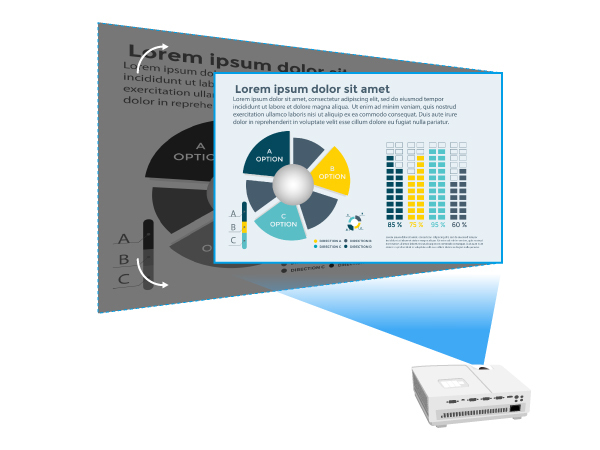 Eco Blank Mode: When the projector detects no source content, Eco Blank Mode automatically actives after 3 minutes of inactivity to eliminate distractions and save energy. 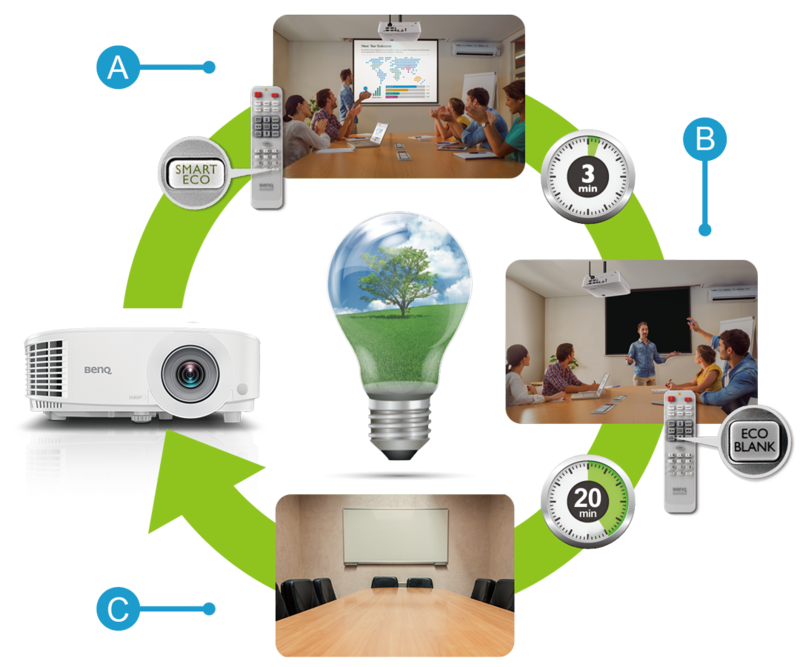 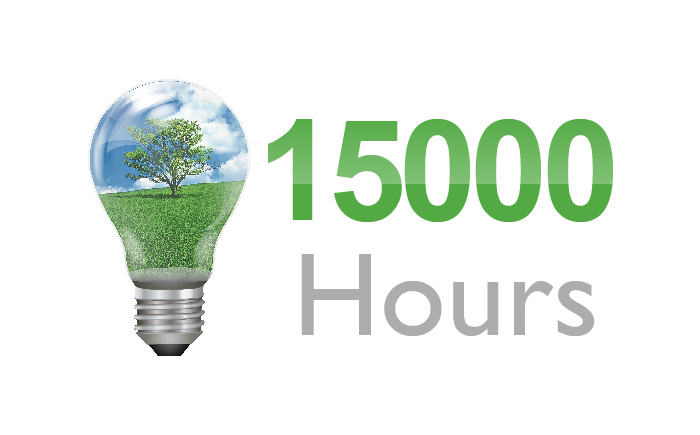 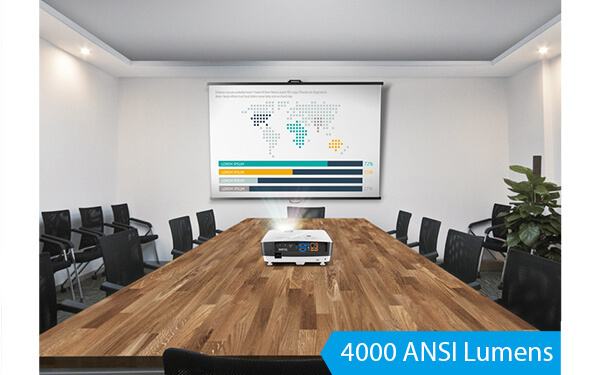 Auto Power Off: BenQ business projectors power down after 20 minutes of inactivity to eliminate energy waste and concerns for teachers of leaving the equipment on.